Most of us have heard of virtual reality (VR) by now and many of us have been launched into it with a fun demo or two – think life-size Pac Man or perhaps a heart-racing shoot-em-up – but researchers are starting to realise that VR has a much wider potential and are looking into the ways it can be used to change our lives for the better. 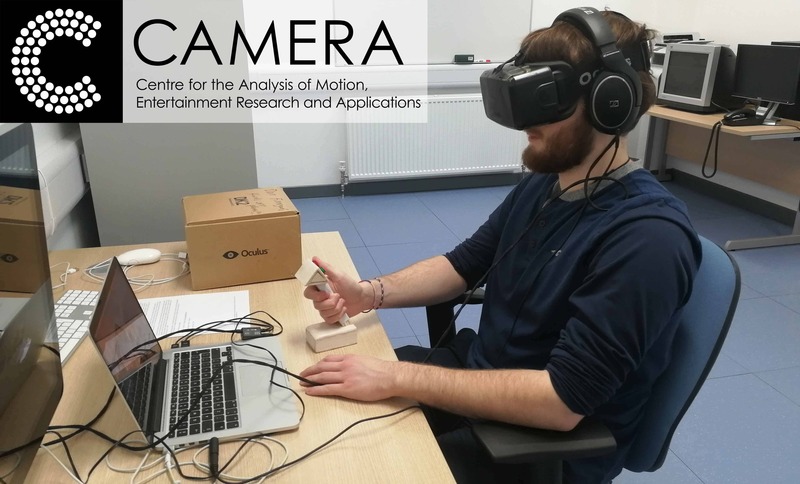 One of the places that is doing this is the Centre for the Analysis of Motion Entertainment Research and Applications (CAMERA), based at the University of Bath. CAMERA’s motion capture technology is used for the more obvious applications such as visual effects for film and games, but also in health and rehabilitation and in athletic monitoring. Dr. Daniel J. Finnegan (pictured right) is a Research Associate at CAMERA and works on a number of projects at the centre which aim to understand VR environments and how humans interact with them. Keen to get to know what this means for the future of VR, we caught up with him to find out more. Find out more about Dan via his blog on the University of Bath website, or follow him on Twitter here: @Lancophone. You can also learn more about CAMERA by checking out the CAMERA website. 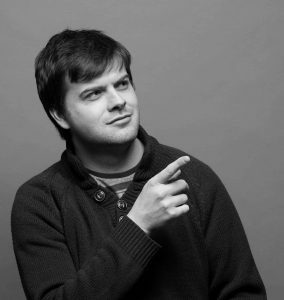 Dan is happy to speak at events and encourages people to get in touch if they’d like to take part in future research.